Are you planning to pursue a career in construction management? There are plenty of construction management jobs that are open for you these days. However, you must get a degree first before going into getting a high paycheck as well as a good title. What are the requirements for you to pursue a career in construction management? The first rule is to earn a construction management degree or a construction engineering degree. Make sure that you get a degree from an accredited university. This is very important. Take all the necessary courses. There are different types of course work that you can focus on like business and financial management, cost estimation, building codes and standards, information technology, inspection procedures, contract administration, site planning, engineering and architectural science, and construction project management. You should also gain hands-on experience through apprenticeship or on-site training. Once you graduate from your degree program, you can now decide which of the construction management jobs you want to pursue. Just make sure that the job you choose matches your skill set. Keep in mind that there are some tasks that will require you to be involved in the project from inception until completion. There are also other construction management work opportunities that will allow you to focus on the specializations that are related to architecture and engineering. These give you an opportunity where you can manage or directly connect with the architects and engineers of the project. What are your responsibilities as a construction manager? You must maintain oversight on the entire operation within the field. You should have sufficient knowledge in supply mitigation and requisition, dealing with subcontract partners, chains and manufacturers that provide raw materials and labor for the project. You should help in the acquisition of land, the planning process, obtaining permits, hiring workers, and keep tabs on the progress of the construction. You have to make sure that everything is being done properly. You are also responsible for handling complaints or problems along the way. Being a construction manager can be a tough job, but since there are different construction management jobs that you can apply for. You have a lot of options. Construction management jobs have a lot of tasks involved. This is a very rewarding job. You will definitely feel fulfilled because you will be very busy and productive at the same time. This is also the reason why a lot of people are choosing this career path. Always keep in mind that construction management jobs require knowledge and experience in logistics management and real time analysis. This entry was posted in Construction Management Jobs on May 29, 2013 by FindItOnline. Construction project management experts are responsible for overseeing the overall construction project. Regardless of the purpose (real estate projects for residential or commercial homes), it is a necessity to have the guidance of these professionals. Once certified, they are proven to have the skill and the competency to perform in a real estate project, handling different aspects to bring the project to completion. From checking certifications and permits to analyzing the output of the day to day operation, it takes a lot to be an engineering project manager. Now is the right time for a construction project manager to penetrate the real estate market. With the growing trend in foreclosures, you will see auctions being filled by investors who are trying to purchase as many properties as they can. Then they wait for the recession to ride off before selling the properties at a higher price. But of course, there will be improvements and renovations that need to be carried out. This is where the manager gets a chance to prove his capabilities. The construction project manager position is one of the toughest jobs in the real estate industry today. It involves budgeting, supplier logistics, manpower and planning of the whole project. Whether or not you are having a big or small project, one of the best ways to make everything work without delay or without legal repercussions is by hiring the right manager. If you are a freelance construction manager, it is always a good idea to send your resume to companies that invest in foreclosures. This means that you want to seal the deal with as much work as you can to get the best income possible. Although you are not getting the most margin of income in every project, bulk construction projects can give you what you need to maximize your income. How to Increase Your Construction Project Manager Salary? Construction project management is a sought after occupation these days. Most often, an engineering project manager will continuously study and take certifications in order to boost his or her credentials. This is really a wise move, considering that a construction project manager should be aware of the latest trends and newest methods. Whether the specialization is in handling residential or commercial markets, it is imperative for a project manager to be knowledgeable in every part. There are significant changes when it comes to the practice of organizing everything in a construction site. New aids are be used in order to deliver efficiency and maximize output. One of these aids is the use of construction management software. Project management software can give you perspective in different aspects like planning, scheduling and even output analysis. This is a great addition in the construction project manager’s arsenal. This entry was posted in Construction Management Jobs on August 8, 2012 by FindItOnline. Construction management jobs are expected to rise in the years to come. With more and more houses and buildings being built amidst the tough economy, it is important to note that a construction manager plays a great role in every project, whether it is residential or commercial. The average construction management salary in the US runs from $45,000 to $133,000 per annum, depending on the project and the responsibilities involved. For residential projects, the average construction management salary can reach $60,000 a year. In contrast, commercial projects are around $95,500 per annum. Before counting your potential income, you need to know the possible things that you’ll be working on as a project manager. Your construction management salary will always be dependent on these responsibilities. There are also some factors that may give you extra perks and incentives. For instance, tenure would mean an increase in yearly income. Although pay is an important aspect in any occupation, it is crucial that you know the responsibilities first. Part of the construction manager’s responsibility is to ensure permits and work licenses. These things are crucial, especially when you are involved in commercial projects. Placing orders and making sure that the materials meet the standards is also part of your work. From preparations to the overall workload, all of these things will be your responsibility. What Affects the Salary of Construction Managers? Construction management jobs can play a crucial role in determining the success or failure of a house or a building development. It carries a lot of accountability, and getting paid involves a number of things. You have to understand that residential projects give you less remuneration while commercial projects will give you better pay. You will also have to consider the training and experience that you have accumulated through the years so that you can gauge the pay that you are going to receive from your employer. Construction management salary also differs from one region to the other. There will be places where they have better salary range when compared with other states. New York, in particular, is known for its high cost of living and its demand for new constructions. New York may give better construction management salary to their civil engineers than elsewhere in the US. However, you should also be aware of the cost of living in the region. In order to grow as a construction manager and for your salary to rise, it is imperative that you become competitive. There are various training programs that you can participate in. These courses can improve your skills as a project manager, and in the end, will give you the right compensation. This entry was posted in Construction Management Jobs on July 12, 2012 by FindItOnline. San Joaquin Valley College – located in California, it’s a private junior college that offers an oline Associate’s Degree in Construction Management that will provide graduates with the technical and managerial skills they need in today’s construction industry. The school ensures that its students are ready for all the management responsibilities they will face on the job. Sullivan University – located in Kentucky, the University offers Bachelor of Science in Business Administration with a focus on Construction Management that will provide students with basic understanding of managing a construction project. The University ensures that students will learn about the importance of interaction with a myriad of people that they will come in contact with on a daily basis. They will also be familiar with OSHA requirements and training policies as well as construction-specific regulatory practices. Everglades University – located in Florida, they offer Bachelor of Science Defree in Construction Management that concentrates on management skills and construction business knowledge that is required for the construction industry. A lot of competitive courses await the students that will help them be the best construction manager in the field. South University – located in a couple of states in the US, the University is specifically designed for working adults. Their Bachelor of Business Administration – Construction Management will develop the management and leadership skills while they are allowed to balance their studeies and work, as well as other family obligations they might have. There you have it, the 4 best construction management schools that you can enroll in. All of these schools are accredited. These construction management schools will help you become the best construction manager in the construction industry and you will definitely love all the knowledge and skills that you will learn along the way. This entry was posted in Construction Management Jobs on January 26, 2012 by FindItOnline. 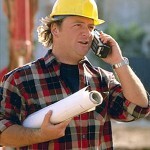 What does a construction superintendent do? He is the point man of the contractor on the construction site either for residential and commercial projects. Usually, job descriptions vary because it depends on the employment terms. Usually, they are responsible for the overall operation at the site which includes a number of important functions budget and quality related. A construction superintendent job is really challenging and his most difficult task is taking care of schedule and timing. We all know that construction projects are on tight deadlines and everything should be done in a certain order. They have to make sure that all subcontractors arrive and get the job done within the allotted time frame. Since the superintendent doesn’t have a hold on the schedule or the lives of his subcontractors, it will be quite difficult to get a hold of them. That is why a construction superintendent should have great multitasking and scheduling skills to make everything work and for them to be able to meet the deadline. He or she is responsible for overseeing multiple facets of the project and many of these occur simultaneously. To fulfill this task, the construction superintendent will need daily progress reports from the foreman of duty for each subcontractor. Aside from these numerous tasks, it is also the job of the construction superintendent to ensure the project is within the budget parameters and he or she should be able to justify any change orders that will result to additional expenses. To be able to do this, he or she will need a written explanation of the problem and the proposed solution and the cost. He or she can also conduct a personal inspection of the issue to ensure that the proposed solution will work and it is the most cost-effective solution available. To add more weight to the responsibility of a construction superintendent, he or she is also responsible for reporting to the project owners. This also means that he or she should have great communication skills to be able to relay to the project owners the report and other updates on the project itself. Aside from this, he or she is bound to meet a few VIP’s. Being a construction superintendent may seem like a tough job but you will realize that it is very fulfilling and very promising. The construction industry is very promising and anyone who chooses a career path in this direction will reach success. This entry was posted in Construction Management Jobs on January 24, 2012 by FindItOnline. You will be surprised to know that there are a lot construction superintendent jobs. Before that, what does a construction superintendent does? It is his or her responsibility to oversee all on-sire project personnel and maintain coordination with subcontractors. There will also be heavy involvement in pre-construction planning which includes project scheduling, estimate manpower requirements and make recommendations, hire personnel, attend pre-construction meetings with subcontractors and many more. How can you be successful in your chosen career path? Employers will have high demands regarding this particular porition and you should have the proper knowledge, experience and attitude. You should also enjoy networking because you will communicate with clients and subcontractors which simply means that you should have great people skills. You see, this profession is one of communication. So, you must work on your communication skills if you really wish to pursue this career. Since there are a lot of construction superintendent jobs out there, you should know that they require different credentials. However, when it comes to looking for a job in the construction indsutry as a construction superintendent, you won’t have a hard time. All you have to do is prepare your CV and make sure that everything is in proper order including other documents that will be needed during the application process. The World Wide Web has a wide selection of construction superintendent jobs for you. In fact, this is the easiest way to apply for this particular position because all you have to do is send your CV through e-mail and wait for their reply or call. This will save you more time and it will open more opportunities for you to apply at different companies that have an opening for this particular position. Before you enter this field, you have to be prepared because you will be faced with a lot of pressures. However, the best part is that you will find it very fulfilling and every day will be a new learning experience which is great. Aside from this, you get to meet new people and you also get to discover more about yourself. Let’s not forget that you also have a high-paying salary! 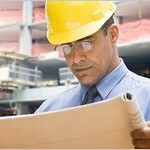 This entry was posted in Construction Management Jobs on January 17, 2012 by FindItOnline. Construction project managers are responsible for planning and monitoring the construction work at a site. A civil engineering degree is a must so that you can apply for a construction project manager position. However, most employers look for experience. To be able to qualify, you will need to have a thorough knowledge of all the legal and safety standards involved in the construction process. When it comes to construction project manager salary, how much are we talking about? There are a lot of construction project manager jobs out there and most of them are employed full-time. The average salary is around $100,000 per year. This includes the profit sharing, bonus and commission. The salary range for individuals with little or no experience is usually around $45,000 to $55,000. Indeed, being a construction project manager is really a high-paying job. The catch is that you will need to go through hard years, but it will definitely be worth it in the end. Being a construction project manager simply means that you will have a lot on your plate. You will have a lot of responsibilities. New York, Houston and Chicago are the best cities for you to work in because there are better compensation packages as well as other benefits in these places. The state-wide list indicated that California is the best place to work, and then Texas and New York. The construction project manager salaries are among the most competitive compensation packages for people working in the construction industry. Pursuing a career in the construction industry is really a great idea, or rather a wise career path. If you have a lot for mathematics, engineering and applied sciences, this is one of the best careers for you. You won’t regret it because you will be able to earn loads. At the same time, it is a very fulfilling job. As a construction project manager, you can be assured that you are financially secure and will be provided with numerous growth opportunities. However, you must keep in mind that the construction project manager salary also depends on your experience and credentials. This job is very challenging because it requires dealing with adverse working conditions, delays and emergencies. So make sure that you are ready for them. 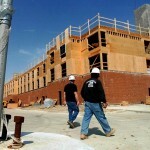 This entry was posted in Construction Management Jobs on January 10, 2012 by FindItOnline. Do you want to become a construction project manager? Then you are making the right choice. It is a well-known fact that the construction industry is booming. There is a prediction that promises productivity and a great future for those who choose a career path in this industry. Construction project manager jobs are considered to be one of the most important and responsible posts in the construction industry. You must have hands-on experience in general construction. Having an accounting background is very important. This will help you keep track of your expenses and profits on a task by task basis, which will help not only to analyze your day to day tasks but also work efficiency of your task force, therefore enabling you to derive maximum output. You should have strong managerial skills, marketing skills and strong business partnerships. You must be ready to take risks. Be prepared. There is a lot of pressure in your chosen career. There are a lot of construction project manager jobs out there waiting to be filled. If you think you have what it takes, then have a shot at the position. However, make sure that you understand the factors that can affect your candidacy as a construction project manager before you start sending in your CV. That is why it’s important that you include the things mentioned above in your checklist and tick them one-by-one if accomplished. A quick overview on construction project manager jobs: First and foremost, you are the go-to guy for big construction projects. It is your responsibility to oversee and be in charged of the planning, supervision and coordination of huge projects for construction companies. It is also your responsibility to ensure that jobs are done on time, everything stays within the budget parameters and that the workmanship is high quality. On top of having knowledge on construction, you should also have great people skills because you will be meeting with VIP’s of other client companies. There will be a lot of times when you will be required to travel and oversee large construction jobs and projects. A construction project manager job is very challenging but also fulfilling. There are still a lot of construction management jobs that you can apply for, but its seems this particular position is the most popular because of its high construction project manager salary. 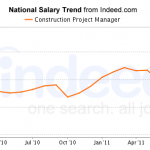 This entry was posted in Construction Management Jobs on January 3, 2012 by FindItOnline. Construction management is a growing field. This career path appeals to a lot of recent graduates of construction management. Those who graduated recently are undoubtedly dying to know about construction manager salary. 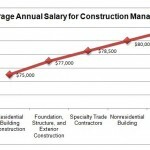 How much does a construction manager earn? You will be happy to know that these managers receive generous salary packages. They also earn handsome wages as independent contractors. Typically, a manager should have a background in business management and should have a business degree in construction management. Construction manager salary is determined by a number of factors. Managers should have a bachelor’s degree in the field and they also must have a working knowledge of cost accounting and cost estimating. Most private firms and employers prefer construction managers that have at least eight years of experience working in the field. Entry-level salaries for construction managers are based upon 5 years of direct experience as a cost estimator or as a project manager. For entry-level average salary, it is $47,000 and can reach up to $53,199. The median wage is $79,860. Residential construction managers can earn up to $74,770. In general, construction managers in building equipment contracting earn slightly more than managers who work in non residential building construction. Just like other jobs, construction manager salary can be affected by factors such as the ones mentioned above. So before you start sending out your resume, you have to make sure that you understood everything clearly. When it comes to job hunting, you won’t have any problems because there are a lot of construction management jobs that are being offered today. Aside from this, it is said that the construction industry will be successful, which is why more people are taking a course in construction management. It promises a good and bright future ahead. Construction management salary has always been an issue for aspiring construction managers and students and they were very surprised to know that they can earn such a high amount. Today, students are more inspired to go for this career path. The best thing about the job is that you will really feel that you are effective because you will have a lot going on, which can lead to career advancement. You have to have a resume that has all your credentials in it. Be prepared to have good reasons why you would make an excellent construction manager since this is not an entry level position. You should have some construction experience. If you have ticked those 3 on your checklist, then you are totally ready to apply for construction manager jobs. Since there are a lot of construction jobs out there, you have to familiarize yourself with it especially if it’s your first time to apply for this particular position. What are the construction manager jobs that you can apply for? Manager – This particular job entails overseeing a group of skilled trade workers to ensure that the job is getting done in the proper manner. Aside from this, you are in charge of ensuring building codes that will ensure the safety of your workers and future tenants of buildings. You also work with everyone who is involved in a project, acting as a liaison with the architects, investors, skilled trade workers and material suppliers. A construction project manager is the perfect position for this. Business owner – Yes, you can have your own business if you want to. With a construction management certificate and experience, you can open you own business. In fact, there are a lot of opportunities for a private business in construction. Being your own boss, you can hire additional crew members as needed for various projects and it’ll be better if you take courses in business to ensure success. Appraiser – We all know that every project needs an appraisal wherein a detailed analysis of materials, labor and time is calculated and presented to the construction company. You are to complete this task and since you have a construction management certificate, you have all the skills and knowledge needed to estimate and appraise the cost of a project. You also have a wide understading on construction techniques, materials and how long would it take to complete various types of projects. Consultant – With a background in construction management and you have experience in the field, you can become an independent consultant. Consultants are brought onto a project when an outside, unbiased opinion is needed. You are to review the project plans and see if changes should be in order to cut down costs and time. There are really a lot of construction management jobs for you. Make sure to review this before you send out your CV to qualify for construction manager jobs.